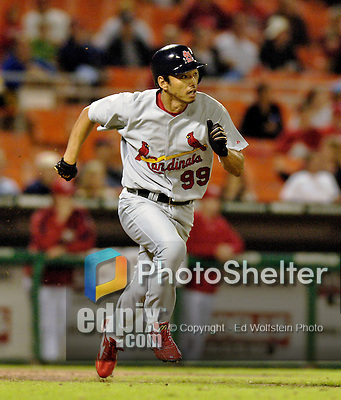 5 September 2006: So Taguchi, outfielder for the St. Louis Cardinals, in action against the Washington Nationals. The Cardinals defeated the Nationals 2-0 at Robert F. Kennedy Memorial Stadium in Washington, DC. ..Mandatory Photo Credit: Ed Wolfstein..